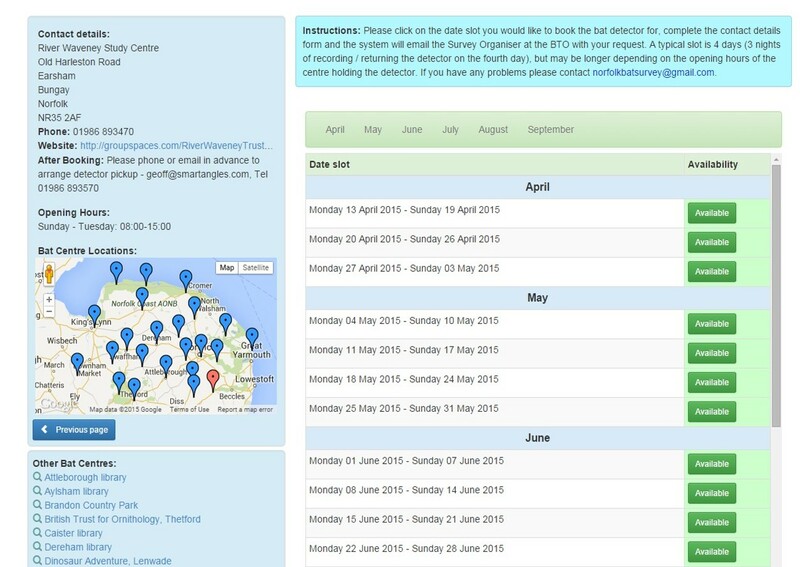 After you have requested a square to survey on the projects sign-up page, you will be emailed a web link to our online booking system, where you can book and borrow a bat detector to use for the survey from a Bat Monitoring Centre of your choice. Pre-defined booking slots will allow for a minimum of 3 nights of recording to be made (ideally at three different locations within a 1-km square) + 1 day to return the detector (4 days total). Note that a single pre-defined booking slot may extend over more than 4 days, depending on the opening days of the centre. The project is dependent on people picking up and returning the detector as booked, so please do this to avoid disappointing others. Also please cancel your reservation if you can’t make it.